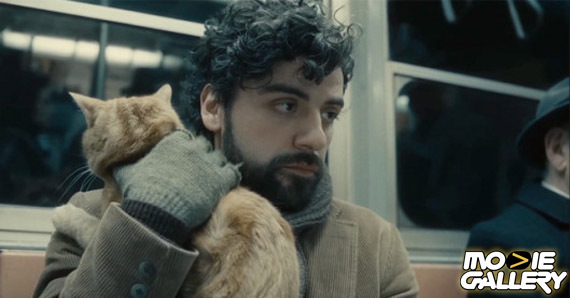 The latest from the Coen Brothers, ‘Inside Llewyn Davis,’ is screening at Cannes this week. And for those of us not fortunate enough to make it out to the Southeastern coast of France, we have to be content to bask vicariously in the art-housery that’s somehow also pretty glamorous with the rented jewelry and whathaveyou. I guess you can be both those things. Why not? Whatever. The good news for Coen nerds is that Inside Llewyn Davis — the new movie from the brothers who brought forth The Big Lebowski, No Country for Old Men, Barton Fink, Burn After Reading and many others — is screening, and the first look, aside from being tinted a sad, specifically NYC shade of blue, is full of that sad kind of comedy the Coens are known for. Let’s keep it simple and go by the numbers. Sorry, but Ethan and Joel Coen have proved more reliable than just about any other Hollywood filmmakers. Even some of their “lesser” work is still worth the time to check out. 2. 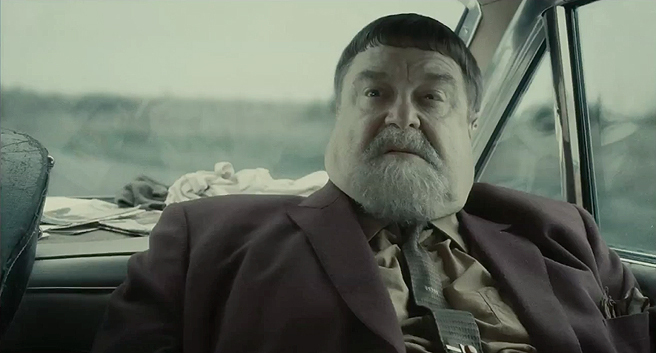 John Goodman with this haircut. Since the movie tells the story of a folk singer in 1960s New York, there’s bound to be some righteous style going on, and it seems John Goodman is leading the pack. Also, he’s grumpy, so bonus there as well. 3. Carey Mulligan calling someone an a**hole. What could be better than that? 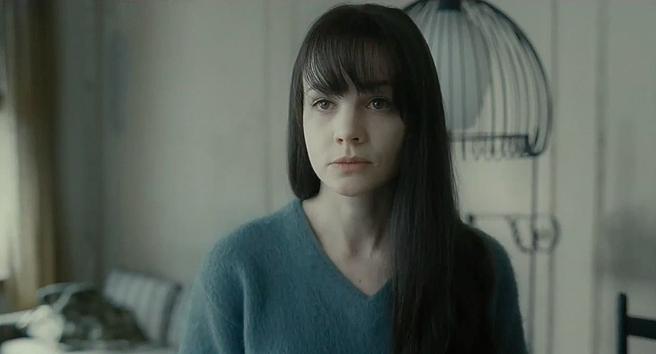 Sure, you think of her as Daisy from Gatsby, but it looks like she’s going in a totally different direction for Inside Llewyn Davis, and a much angrier one if the trailer is anything to go by. 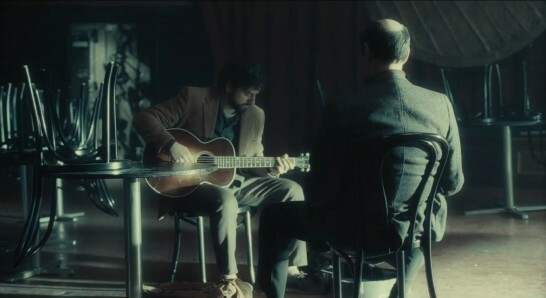 The trailer does a good job teasing the music of Llewyn Davis without actually giving anything away. Not that Bob Dylan is anything to complain about, but as he sits before F. Murray Abraham’s stone-faced judgment, I can’t wait to find out what actually happens when he starts playing! The Coens are masters of a good sight-gag, and though it features heavily in the trailer, I wonder how much of the movie the cat’s actually in. And the only unfortunate part about that is we plebeians have to wait until December to find out! Stay tuned to MovieGallery.com for more updates on ‘Inside Llewyn Davis’ as we get closer to the release! This entry was posted in Previews and tagged cannes film festival, inside llewyn davis, inside llewyn davis trailer by summerm. Bookmark the permalink.